There are many ways to beat a zone defense, but one that I have seen be incredibly effective is to create an overload set By overloading against zone defenses (2-3, 3-2, 1-2-2, 1-3-1, etc.) forces the defense to have some defenders guarding more than one player and often a defender guarding no one on the weak side. Overloads work well against man defense too, especially when creating an isolation opportunity on the weak side of the floor. 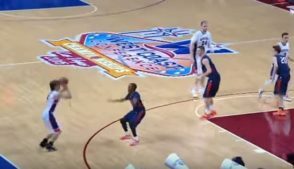 Against 2-3 zone defenses, a simple overload will have an offensive player in the corner, on the block, in the slot, and on the wing. This formation forces the bottom zone defender to choose whether to guard the wing player or the corner. Smart defenses will adjust by moving the top two guard defenders over, but if the play is ran effectively it can be difficult for this adjustment to be made on the fly. 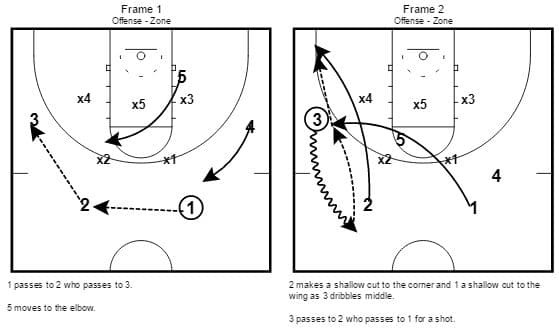 This play overloads the left side and forces x4 to choose whether to guard the wing or a shot in the corner. 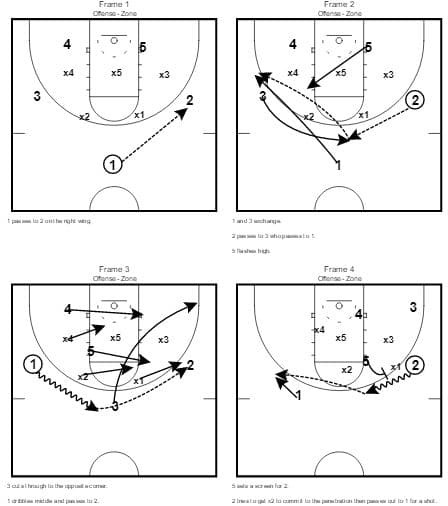 After overloading the right side, 5 screens the top zone defender putting x2 in a position to stop the ball or guard 1 on the wing. 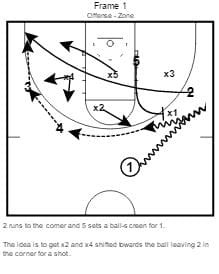 This play is similar to the last but puts the ball screen on the weak side. The pop man may be open for a shot with the defense shifted to the right. 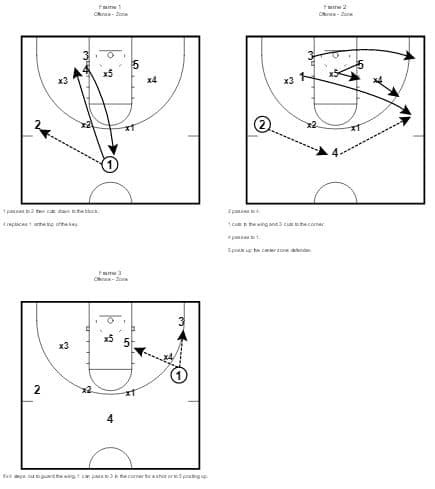 FDU got a shot in the left corner by overloading and setting a ball screen in the slot. 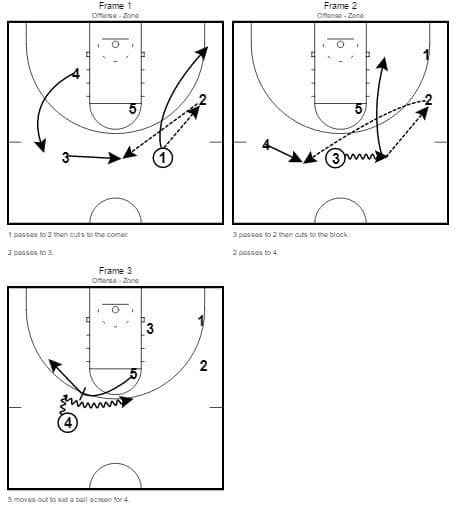 The Longhorns overload the right side and have 5 post up the middle defender putting x4 in a position to guard two guys.